Growing older can be a time of great joy and satisfaction for men as they look back on their accomplishments and gain more free time, but it can also be a challenging and distressing experience, especially for those men raised with the very traditional notions of what it means to be a "real man." 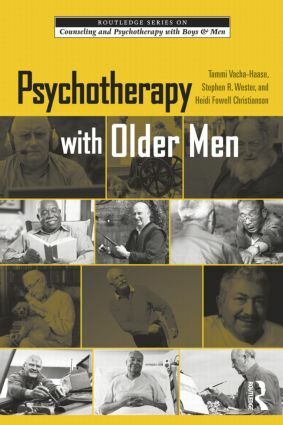 This book will help practitioners working with older and aging men understand the eras in which these men were raised, how they view the world, the gender role conflicts they experience, and the physical, mental, and emotional challenges and problems they face during the later stages of their lives. The authors discuss theories of masculinity and aging and therapeutic considerations for working with this special population. Making use of many detailed case studies, they explore the psychological issues that are commonly faced by older men, such as depression, anxiety, cognitive impairment, and substance use and abuse, as well as effective screening and assessment techniques, and treatment approaches. They then conclude with a look at the future directions of psychotherapy with older men.